Barry Jenkins' adaptation of James Baldwin's novel If Beale Street Could Talk is a story about injustice, about institutional racism, about the cycles of poverty. But above all it's a love story, a celebration of romance and family connections in the face of constant adversity. The romance between childhood friends Tish (KiKi Layne) and Fonny (Stephan James) is so overwhelmingly beautiful that it nearly makes all the forces aligned against them fall away. And even though their love is not strong enough to actually defeat those seemingly immutable forces, Jenkins never lets his film be similarly overpowered. Set in Harlem in 1974 (the same year Baldwin's novel was published), Beale Street starts with Tish telling Fonny that they're about to have a baby, and it tells the story of their relationship in nonlinear fashion, jumping back and forth between their blissful early courtship and the more trying times as Fonny is in jail awaiting trial for a crime he didn't commit. Just 19, Tish finds herself carrying the burden of their burgeoning family disproportionately on her own, although Fonny is far from a deadbeat dad. One of the most refreshing and joyful aspects of the story is the way that Tish's unplanned pregnancy at such a young age is largely treated as a blessing, regardless of the circumstances. A new life is about to be brought into the world, and Tish, Fonny and Tish's family all embrace the prospect with affection and hope. That doesn't mean they don't agonize over the challenges ahead of them, though. Tish's mother Sharon (Regina King) travels all the way to Puerto Rico to track down Fonny's accuser, a woman who's been coerced into going along with a racist police officer's preferred (false) narrative, and Jenkins makes sure to give the victim a chance to speak her piece. Fonny's own mother and sisters aren't particularly sympathetic to his plight, although his short-tempered father (Michael Beach) makes some hard sacrifices for his son. An early scene showing the contrast between how Tish's and Fonny's families take the pregnancy news provides an elegant illustration of their different upbringings. James (most recently seen in the Amazon series Homecoming) and newcomer Layne make for a wonderful central couple, with a heartfelt, relaxed chemistry, and they're aided by an excellent supporting cast, especially King as the steely, unflappable Sharon, who takes every setback and unexpected development in stride. Dave Franco (as a Jewish landlord who tries to give Tish and Fonny a break) and Brian Tyree Henry (as an old friend of Fonny's who's recently been released from prison) make memorable impressions in their brief appearances, and Jenkins depicts every minor character with care and understanding. As he did in his Oscar-winning Moonlight, Jenkins captures romantic longing with warm sensuality, conveying the bond between Tish and Fonny even in scenes that just feature them looking at each other. He also retains a substantial amount of Baldwin's prose via voiceover narration from Tish, which can sound a little florid in comparison to the more grounded realism onscreen, but which contributes to the lyrical timelessness of the central romance. Jenkins has cited Hong Kong filmmaking legend Wong Kar-wai as a major influence, and Wong's sumptuous, colorful romances like In the Mood for Love and Chungking Express clearly shaped the way that Jenkins interprets Baldwin's book. 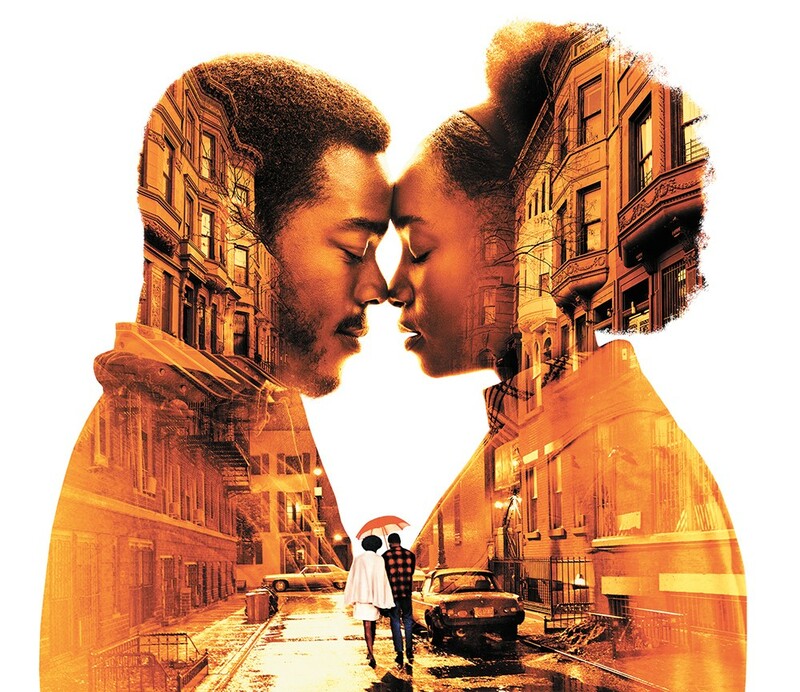 The original print version of this article was headlined "Love Conquers All"
If Beale Street Could Talk is not showing in any theaters in the area.